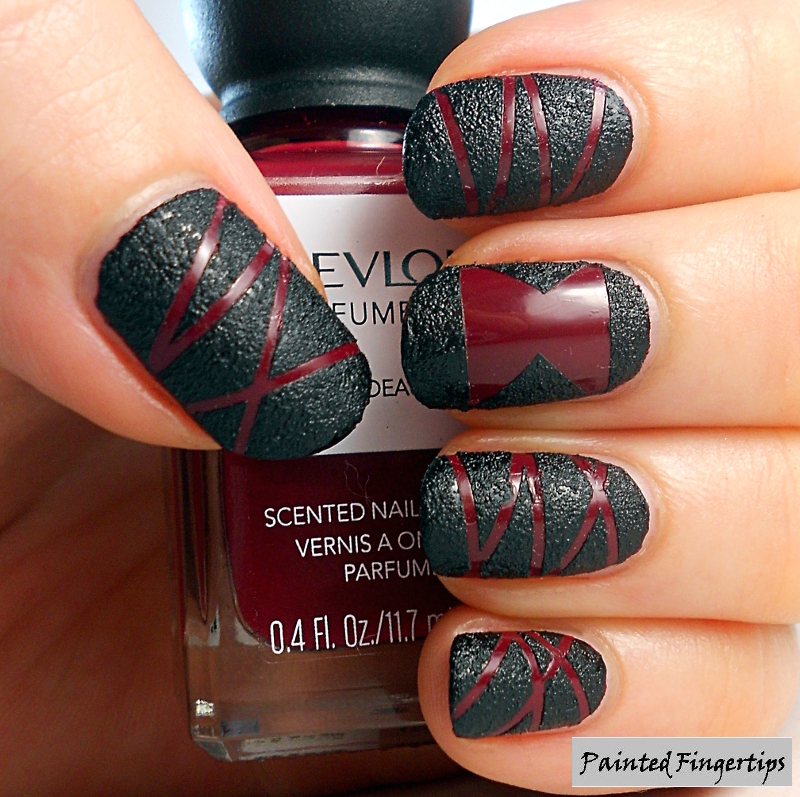 Today I have another Halloween appropriate nail art look to share with you. Spiders are creepy and the black widow might just be the creepiest one of them all! I followed this tutorial for black widow nails done by Chalkboard Nails. I started with a base of Revlon Bordeaux from their Parfumerie range. Once it was dry, I added striping tape in the patterns of webs and the distinctive hourglass of the black widow spider. 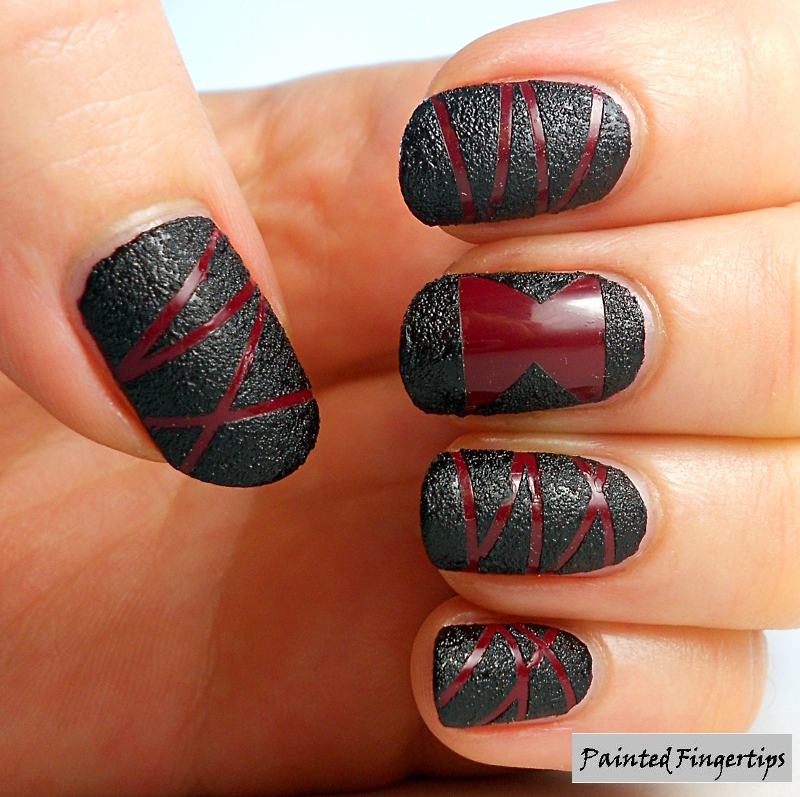 I added a coat of China Glaze Bump in the Night and peeled off the tape. Bordeaux is a scented polish, so despite their spidery theme, I couldn’t help sniffing my nails all day! What do you think? Would you wear this for Halloween? I love it. Very cool. I love that you kept sniffing your nails that’s something I would do! Haha, I couldn’t help it, they smelled like grape flavoured sweets! I’d wear it for normal everyday!